Sorry, Latveria. Screw you, Sokovia. 2018’s hottest fictional country is Wakanda, the African kingdom ruled by T’Challa (Chadwick Boseman) in Marvel’s Black Panther. Before you go see the movie this weekend — and it sounds like a lot of you are going to see the movie this weekend — here’s everything you need to know about Wakanda. You want a foundation myth? You want a legendary hero? Wakanda’s got both. 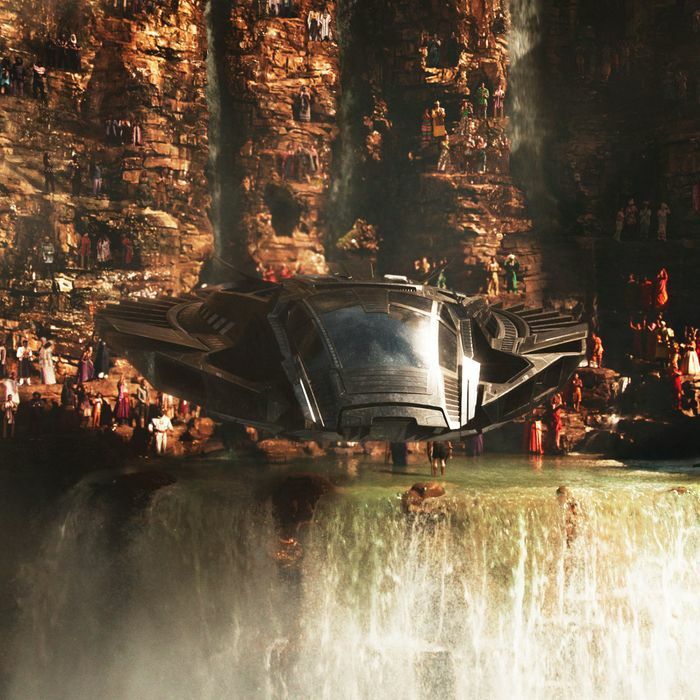 According to a legend outlined near the start of the movie, the land that would become Wakanda was originally inhabited by five different tribes (pared down from 18 in the comics). After the meteor hit, the leader of the Panther Tribe was visited by the panther god Bast, who instructed him to drink from the Heart-Shaped Herb, a flower that was affected by the impact. The flower gave him superpowers, which he used to unite most of the tribes under his rule. (In both the comics and the movie one of the tribes, the White Gorilla Cult, lives separately from the rest of them, though the reason why differs.) This leader’s line continues today in T’Challa, who is both the superhero Black Panther and king of Wakanda. The king of Wakanda seems to be something like an absolute monarch, though he does have a council, the Taifa Ngao, made up of representatives of the various tribes. Wakanda’s comics history has been full of threats to T’Challa’s rule, and Ta-Nehisi Coates’s recent run introduced a popular revolt against the monarchy. I won’t spoil exactly how things played out, except to say the uprising eventually had an effect on Wakanda’s political structure. None of that happens in the movie — but hey, maybe it’ll be a part of the sequel?